Rwanda is among the three countries in the world with mountain gorillas. These greatly endangered species live in the jungles of volcanoes national park that is located in northwestern Rwanda. Volcanoes national park is located in the Virunga area and has three major Virunga volcanoes – Karisimbi, Mikeno and Bisoke. Of the estimated 400 mountain gorillas in the Virunga area, about 300 in habit the forested gentle slopes of volcanic mountains in volcanoes national park. The park has a total of 10 habituated mountain gorilla families that are open to tourist visitation while two mountain gorilla families were left for research. With 17 individual mountain gorillas, Amahoro is the most peaceful mountain gorilla family that also lives on a gentle slope. The word Amahoro means peaceful and the dominant silverback (Ubumwe) is indeed very peaceful. Of the 17 mountain gorillas in the Amahoro family, there is one silverback – Ubumwe, 2 black backs (sexually mature male mountain gorillas), 5 young ones, 5 female gorillas, and 4 youth mountain gorillas. Getting to this gorilla group is a little hectic because it also involves hiking however all the tourists who have visited the group always take about their unique experiences and encounters. Mapuwa group: The group is found in Jomba near Bunagana (Congo­Uganda border). The group was formerly led by a Silverback named Mapuwa. Silverback Mapuwa has acquired and protected his family by all means through violent struggles. He was a son of Rugendo, the current leader, of Rugendo group. He left his father’s group in 1998 and started his own family. When he left, he took along 2 adult females named Jicho and Mafaze. In a continuous fight, Silverback Mapuwa has acquired more members from other groups. Pilipili, one of the strongest and well-known Silverback in Virunga was stripped of all his members in 2002, leaving him alone Silverback. In addition to grabbing of members, there has been several births leading to the increase in numbers. 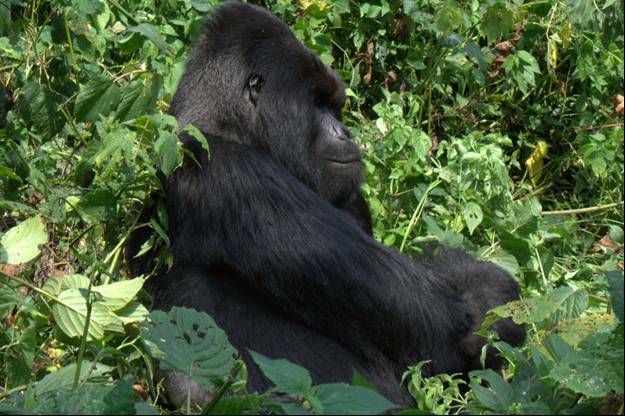 Currently, Silverback Mvuyekure is the dominant Silverback in the group. There are 22 me gorillas in Mapuwa group. Munyaga group: Munyaga group can be located and tracked in the Bukima sector of Virunga National Park. The habituation of the group started in 2008. The group name came from its leader by then, Munyaga. Munyaga group is well known for an adult female Bilali who gave birth to twins after joining from Rugendo group. The twins, however, died in infancy. The leadership of the group shifted from Silverback Munyaga to Silverback Mawazo. As per now, Gasore is the current leader of the group. 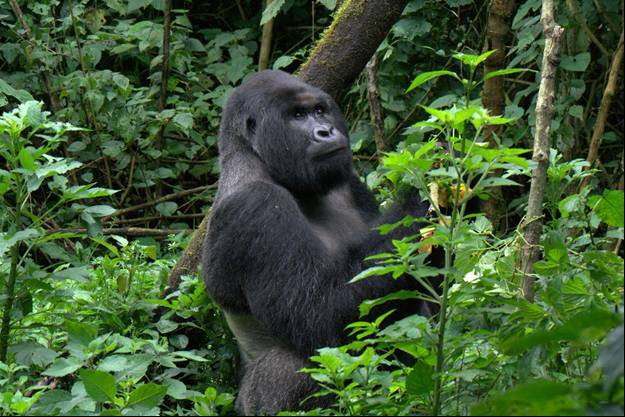 The group is well-known for a bold headed Silverback, Kadogo. The current leader of the group is Gasore. Nyakamwe group: Nyakamwe group is one of the newly habituated gorilla groups in Virunga National Park. They were habituated at the same time as Bageni, the largest gorilla group in Virunga National Park. There are 11 members in Nyakamwe group and the group is led by Silverback Nyakamwe. The group is named after the lead Silverback called Nyakamwe. There is no current challenge in the group leadership. Bageni group: Bageni group is currently the largest gorilla family in Virunga National Park. Currently, there are 26 members in Bageni group, led by Silverback Bageni. There is although a struggle for leadership in the group and it is expected that the group may split into two or three groups. There are 2 other Silverbacks, who are fighting for the lead (Silverback Kanamaharagi and Kitagenda).